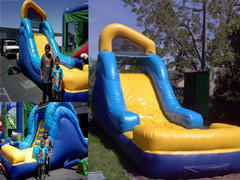 When the California heat turns up cool everybody down with Water Slide Rentals from Sacramento Party Jumps! 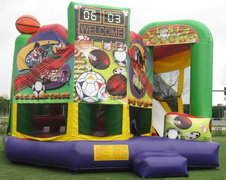 Picture this: your planning an outdoor event and the sun is just beating down on all your guests. 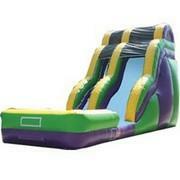 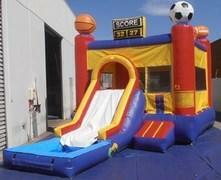 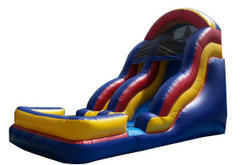 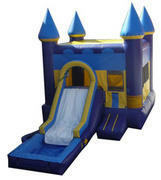 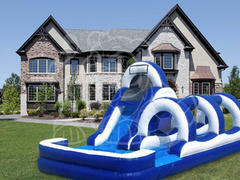 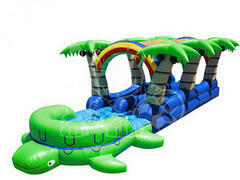 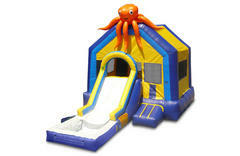 Everyone is hot and ready to go home.... Now picture an 18 ft water slide rental plopped in the middle of your party! 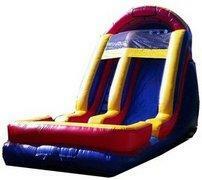 Instant good time. 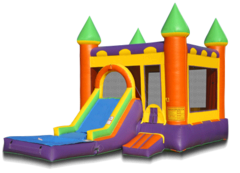 We offer a wide range of options so you're sure to find the one for your next event. 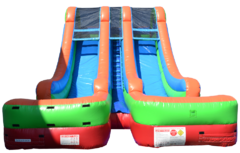 Bring out your competitive side with our NEW Double Lane Wild Splash! 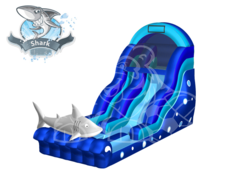 Riders will race to the top and slide down their own individual slide into a crash pool. 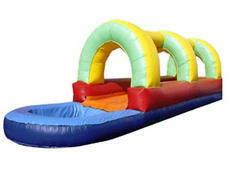 The 2 lanes will keep the lines short and the fun going. 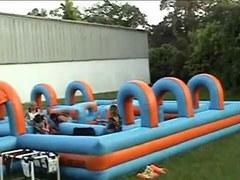 Also check out our unique Water Tag Maze! 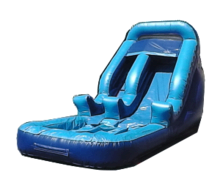 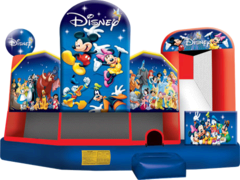 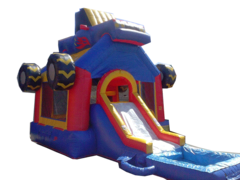 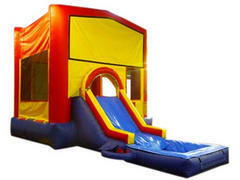 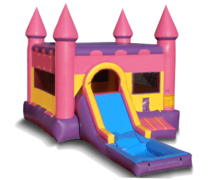 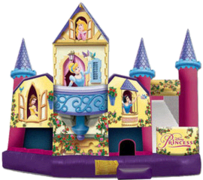 The inflatable maze is fun to navigate and the blast water guns included in the rental will leave your guests soaked and entertained. 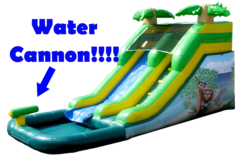 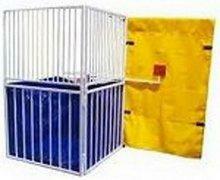 A great addition to your Water Slide Rentals are our highly trained and talented entertainers! 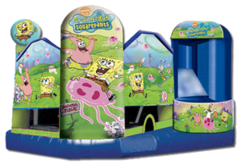 Balloon twisting is a classic art for kids and adults alike. 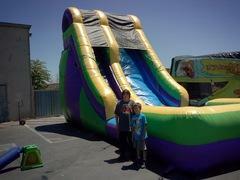 And we don't know many kids that can resist the fun of face painting. 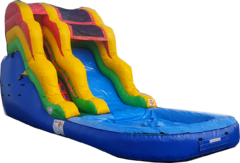 Check our entertainers here. 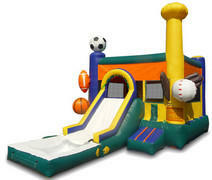 Sport Combo 5 in 1-NEW!